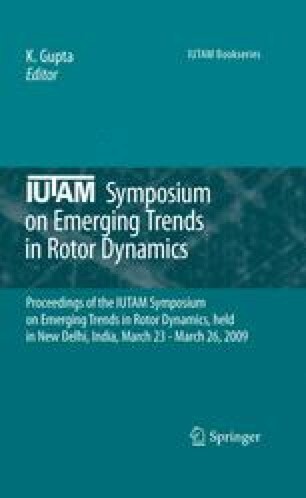 This work gives an overview about the theoretical and experimental achievements of mechatronics applied to oil film bearings, with the aim of: controlling the lateral vibration of flexible rotating shafts; modifying bearing dynamic characteristics, as stiffness and damping properties; increasing the rotational speed ranges by improving damping and eliminating instability problems, for example, by compensating cross-coupling destabilizing effects; reducing startup torque and energy dissipation in bearings; compensating thermal effects. It is shown that such controllable bearings can act as “smart” components and be applied to rotating machines with the goal of avoiding unexpected stops of plants, performing rotordynamic tests and identifying model parameters “on site”. Emphasis is given to the controllable lubrication (active lubrication) applied to different types of oil film bearings, i.e., as tilting-pad bearings, multirecess journal bearings and plain bearings.